We specialize in fast loading, creating great looking, responsive & effective websites that get you found on Google, and get you leads. A great website gets found, is fast, is easy to navigate, and converts your traffic into leads. Our South Florida Web Design team will work closely with you and your staff to create a web site solution that reaches your target audience and in turn gets them into paying, happy customers. Since 1996, our South Florida web design team has built many of the top performing web sites for our local and national clients. See below for our standard website packages, if these web packages don’t work for you we can customize a solution and even build you just a landing page. We listen closely to your needs and goals. We’ve been known to launch a standard website in 2-3 weeks. We take the time to listen to your website goals and needs so we get it right. 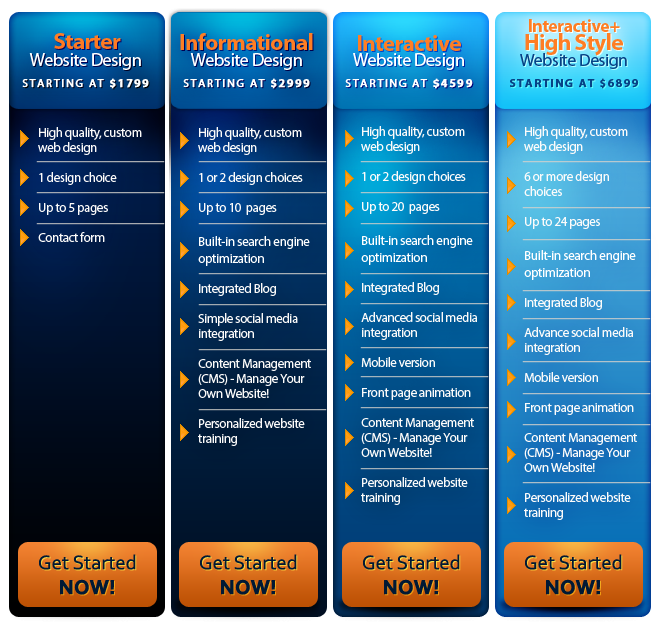 We can provide a detailed timeline during the website planning stage.